Ducted Air Conditioning is the best way to air condition your house. Cooled or heated air is moved through ducts running in the ceiling or under the floor to all parts of your house. 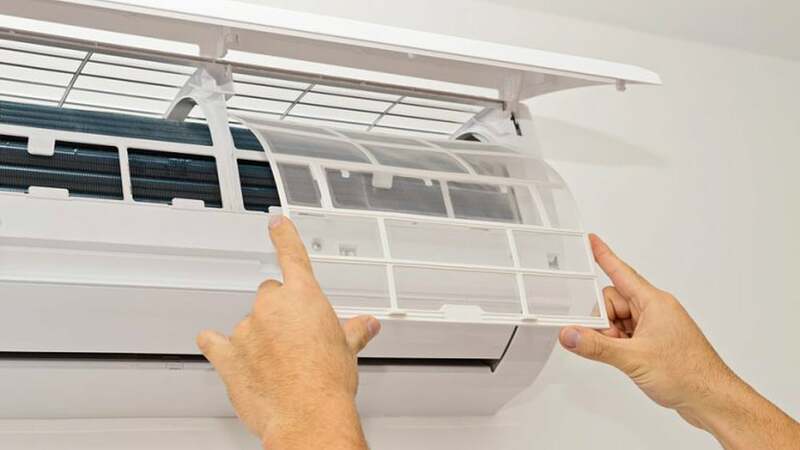 Ducted Air Conditioning has a single compressor unit outside the house and the internal fan coil units are concealed in the ceiling or underfloor. Zoning is the way in a ducted air conditioning system that parts of a house are split into segments or zones with separate air supply ducts for each zone. This allows for flexibility in which zones are receiving air at any time. So you can turn the air conditioning off in parts of the house you are not using. Zoning allows maximum flexibility and helps manage running costs. COP/EER COP stands for Coefficient Of Performance and EER stands for Energy Efficiency Rating. Both of these numbers indicate how energy efficient the air conditioner is. With both ratings, the higher the number for a given size unit, the higher the energy efficiency. The higher the efficiency for a given rating the lower the running costs. Premium High Efficiency is Temperzone’s range of continuous output air conditioners. These have very high efficiency and are ideal where there is not much variation in load and also in areas where the outside temperatures can be very high or very low or both. Split System strictly speaking, describes any air conditioning system where the compressor unit and the fan coil unit are separated. It is mostly used to describe a high wall, room air conditioner, where the fan coil unit is mounted on the internal wall of the room and the compressor unit is mounted outside. Inverter is a type of air conditioning technology that allows the system to vary its power output as the need in the house changes. Inverters are best used on small to medium installations. Digital Scroll is another variable output air conditioning technology that is best suited to medium to large installations. Reverse Cycle describes how some air conditioning systems provide both cooling and heating using the same equipment. The heating process is literally the reverse of the cooling process. Controller is the wall mounted units in a ducted air conditioning system that allow you to vary the air temperature, fan speed, switch the system from heating to cooling, turn zones on or off and set the time clock. Heating Capacity is the heating rating (power) of an air conditioning system expressed in kilowatts. The higher the number the bigger the area the system will heat. Fan Coil Unit is the inside unit in a split system air conditioner. Refrigerant passing through the coil causes it to cool. Air blown over the coil by the fan is chilled. Vents are the opening in the rooms of a ducted air conditioning system through which conditioned air flows. Vents are usually mounted in the floor or ceiling. Ducts are the flexible tubes through which cooled or heated air is moved through a house in a ducted system. Ducts are usually mounted in the ceiling or under the floor. Save Time. Save Money. Contact Seabreeze! Seabreeze Air Conditioning has many years experience within the Air Conditioning industry. We have been providing Sales, Service and Maintenance to Domestic and Commercial clients in the Illawarra and Southern Sydney since the company was established.